A while ago, Tesco's Your Beauty ran a Survey where you would receive a "free gift" for filling it in. I don't think I really need to tell you that yes, I filled that survey in and yes, I did get a little free gift. Although, I do have to say that when it arrived, I was like "Errr....when did I do this??" because I had completely forgotten about it. Whoops! I'm not going to beat around the bush. I know very little about Barbara Daly, or even who she is. I'd heard a few murmurs across Social Media regarding her range, at Tesco, but since I only have a small(ish) Tesco in the town where I live, the only cosmetics range I ever find there is by Rimmel! I know that she is a Make Up Artist, but my knowledge pretty much ends there. The packaging comes in two main parts: First of all, is the outer box which looks pretty standard really. The only thing that I really have to say about it, is that I really don't like the fact that it's made out of plastic, rather than cardboard. This is because I found that when I was pulling it open the edges, and most especially the corners are quite sharp, and dangerous. I know of at least one person who has actually cut their finger on the packaging, so that's not good really. I do like the fact that the packaging has a clear window in it, because you can see the product inside, however, because the box is black, it's hard to judge the colour of the product (but then again, you shouldn't necessarily judge this product how you see it anyway, but I'll get to that in a minute). The actual jar that contains the product is made from plastic, even though for some unknown reason, I expected it to be glass (not really sure why!). The lid is quite plain and non-descript, which is a bit of a pain if you have it in a container. I think that this is one of those products, actually, that is probably better stored upside down, because as you can see from the above picture on the right, you can see what the product is, what shade it is and a glimpse of the product through the clear plastic, which is handy. The lip balm has a very subtle, but sweet smell that reminds me of summery fruits. I quite like the smell actually, and was impressed because I usually find that lip balms like this tend to smell more like plastic than anything else. Aside from the colour, I was impressed with how un-sticky the product was. I really hate lip balms and glosses that have a tacky feel to them, and make me feel like I'm about to glue my lips together. I also liked the fact that I couldn't taste them too much, which was nice. I was also impressed that the lip balm stayed out for quite a while. I like the product, however, if I was to go to a Tesco tomorrow, that sold Barbara Daly products, I don't know how confident I would be buying this lip balm. The problem for me is that I wouldn't know what shade I was really buying, and I'd feel a sense of "okay, I like this shade in the jar, but what is it going to look like when I put it on?". The fact that they're so different is a little irking, because I don't want to be wasting money on a shade that doesn't suit me and/or I don't like. All I can tell you on this one is Tesco!! 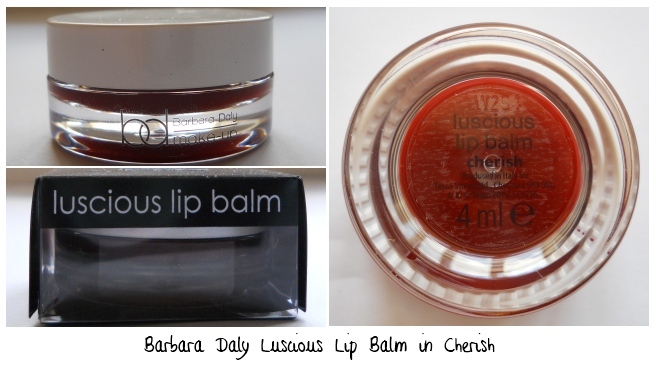 Basically, I looked up the product on the Tesco website, and I couldn't find any lip balms in the Barbara Daly range at all (perhaps I'm going blind!!). I'm assuming that they're available in-store, but unfortunately I can't even tell you a price, which is a little annoying. 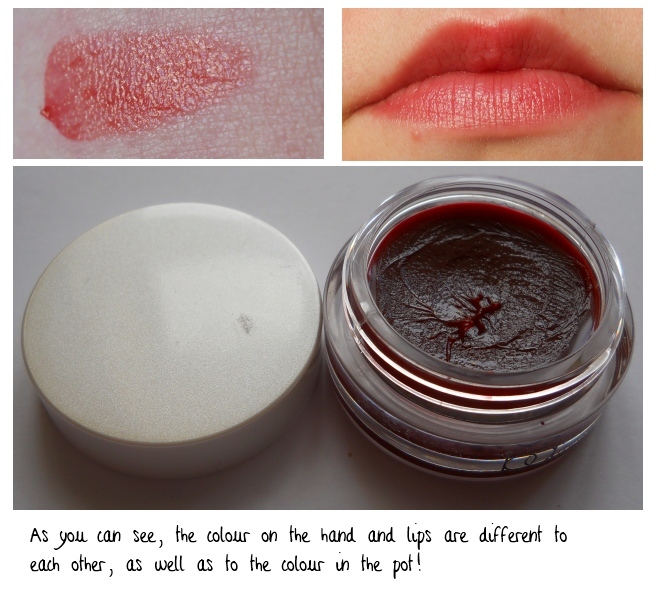 Have you tried a Barbara Daly lip balm? What do you think? And does anyone know how much they cost? Maybe I will actually try it oot then. It's still sitting in it's packaging for me. 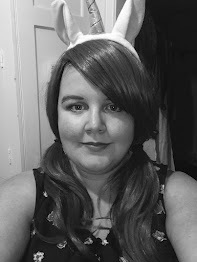 And I am quite fond of the one I reviewed just thought this was way too dark and brownish for my pale and rosy complexion! But yeah, try it out because it applies nothing like it looks. I thought it was going to be too dark for me too! I don't think it's as pretty a colour as the one that you reviewed though, I think I'd probably wear yours more than I'd wear this one colour-wise! Haha, you're right, it does look like jam....come to think of it, it smells a bit like jam too! !